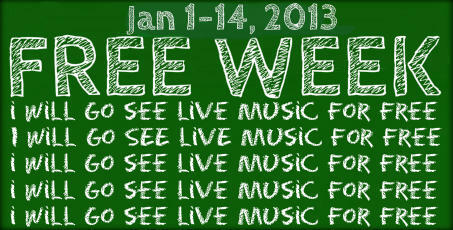 Coming into its own as a mini festival, Free Week's blossomed to include over 20 venues. Sift through the noise with Sonic Vault's preview page, where with just one click you can hear a tune from each band, from Holy Mountain to Fever Bones, or the answer to the question "Whatever happened to Fever Dog? ".